Parenting is a job that goes on twenty-four hours a day. Nighttime Parenting helps parents understand why babies sleep differently than adults, offers solutions to nighttime problems, and even describes how certain styles of nighttime parenting can aid in child spacing and lower the risks of Sudden Infant Death Syndrome. Renowned pediatrician Dr. William Sears helps you find a solution to your baby's sleepless nights. 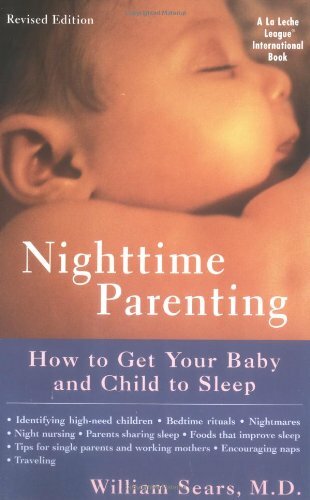 Directed at lessening night-waking and increasing your ability to cope, this understanding guide offers comprehensive, caring advice on: where your baby should sleep, what foods help children sleep, nighttime fathering, tips for single parents, getting children to bed without a struggle, and much more. About William Sears (Author) : William Sears is a published author. 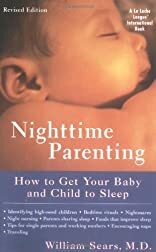 A published credit of William Sears is Nighttime Parenting: How to Get Your Baby and Child to Sleep (La Leche League International Book).